That reddish-orange stuff is the best western-style bbq dip I've tasted--it's like half vinegar and half ketchup. 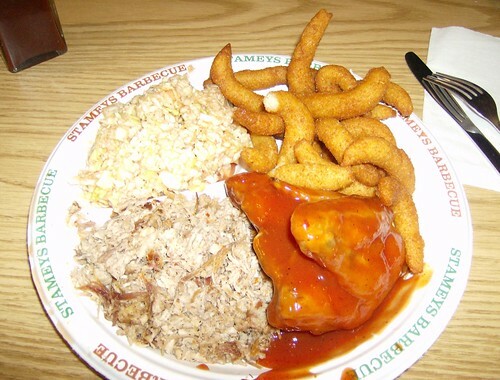 The curly things are what hush puppies are supposed to look like. Greensboro, NC.